The exhibition “STODOM. 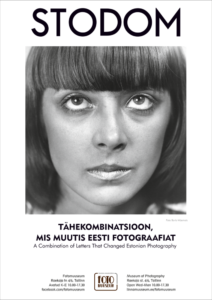 A Combination of Letters that Changed Estonian Photography” will open at the Museum of Photography on 18 October at 6pm. Stodom started in 1964, when a group of energetic photographers removed themselves from national photography clubs. Kalju Suur, Peeter Tooming, Andrei Dobrovolski, Tatjana (Dobrovolskaja) Putnik, Rein Maran and Boris Mäemets, and later also Peep Puks and Tõnu Tormis created what was at the time the Soviet Union’s first and a completely unique creative collective. 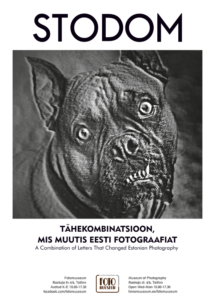 For the first time, fine art photography was placed on the same level as painting and printmaking in Estonia through the exhibition “Painting. Printmaking. Photography” held in 1966 in the foyer of Estonian Academic Library. 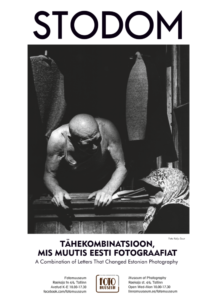 The first commercial exhibition of photography in Estonia took place on 12 December 1972. 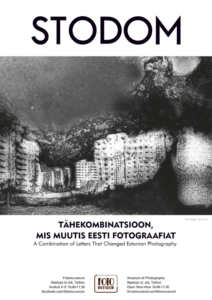 Numerous photography exhibitions in Estonia, the Soviet Union and in Western world followed. Stodom did not just present its own work, but also mediated exhibitions and artists from elsewhere in the world. They organised television debates on the subject of photography and published numerous articles in the press. 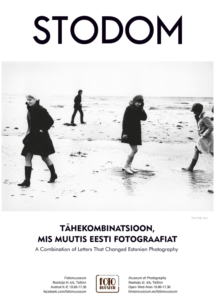 In 1967 they published the photography book Läbi linna (Through the City) under the name Stodom photography group. It is also a little-known fact that it was Stodom that made Kiek in de Kök a ‘photography tower’, the most important centre for photography from 1970–1990, by establishing a photography salon there. Stodom managed to make itself visible around the world despite the iron curtain.